“Crazy. 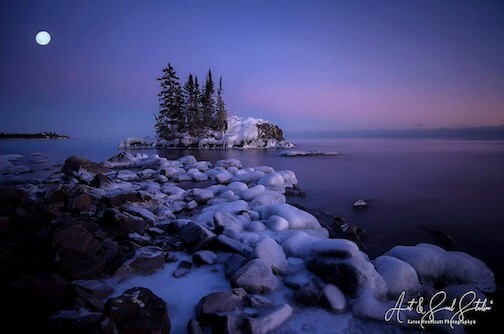 I must be crazy for loving you… ” Here with the cold beauty of Lake Superior by Matthew Pastick. 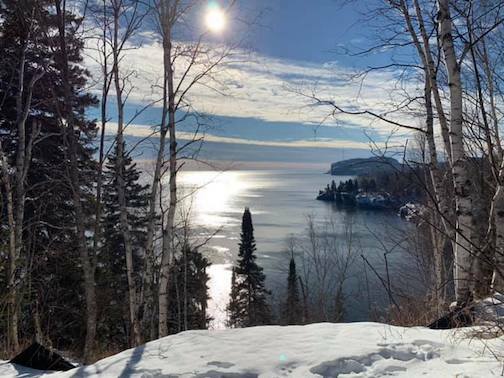 Hunkering down in sub-zero temps is certainly an option this week, but getting outside and enjoying winter is always a great way to celebrate the season, too. 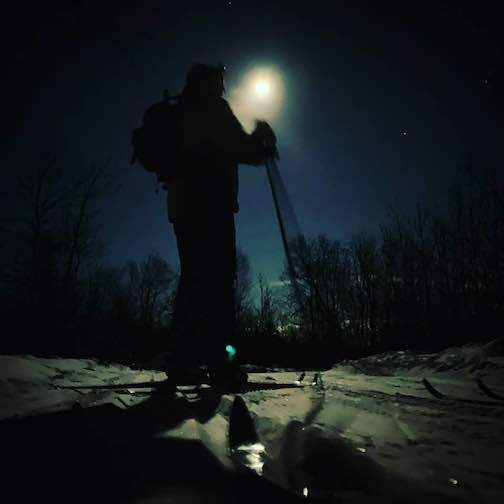 Of particular interest: the John Beargrease Sled Dog Marathon, which starts in Duluth on Sunday and finishes in two locations in Cook County: Lutsen Mountains and the Grand Portage Lodge & Casino. The Mid-Distance race will end at Lutsen Mountains, with the first teams expected to arrive around 7 a.m. on Monday. In all, 20 mushers have signed up to compete in this race. The Marathon features 12 teams this year, including local favorites Erin Altemus, Frank Moe, Mary Manning and Blake and Jennifer Freking. 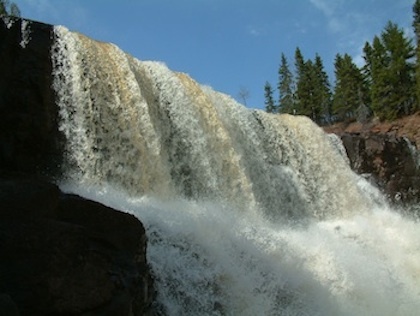 The teams are expected to start arriving at Grand Portage around 3:30 p.m. Tuesday and will be arriving through the night. You can watch the race on-line, too, as all the mushers carry devices to show their locations. To watch it, click here. Best places to watch the race? 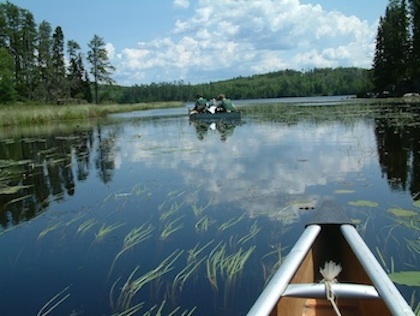 Favorite check points are the Sawbill Trail, Trail Center, Skyport Lodge and Mineral Center. 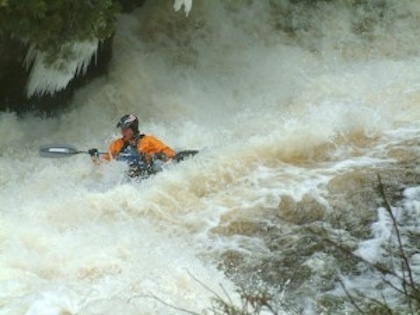 It’s definitely going to be cold this year, and there’s lots of snow, so look for a great race. Meanwhile, indoors, there’s lots to do, too. Thursday is turning into one of those winter evenings where you really need to put on your time-travel suit to enjoy everything that is being offered. This week is no exception. First up on Thursday is the North Shore Arts League meeting, a continuation of the organizational meeting that was held a few weeks ago. The meeting will be held from 4-6 p.m. at the Johnson Heritage Post. All artists in any media are invited to attend. The Arts League is a network of Arrowhead artists who share their time, talent and knowledge to support each other as artists and artisans. There will be a member show at the Johnson Heritage Post in April. All invited. For more information, contact Kathy Weinberg at klweinberg@gmail.com. 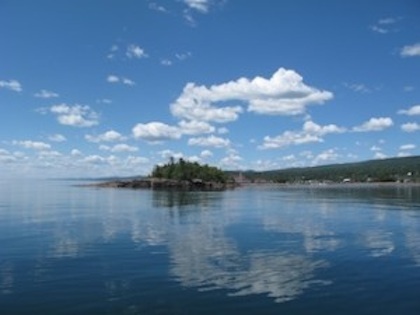 Then, at 6 p.m., Natalie Sobanja will lead a session of the Critical Response session at the Grand Marais Art Colony. This is an artist-led multi-step, group system for giving and receiving feedback on creative processes and works-in-progress. This process allows artists to ask questions about their work in a non-judgmental setting through a facilitated dialogue between artists, peers, and audiences. Students who sign up will be part of the peer critique group and are not asked to bring in their own artwork to this training session. For more information, call the Art Colony at 387-2737. The session will run until 8:30 p.m.
Then, there are two events that start at 7 p.m. — a film screening at North House Folk School and a house concert at the Art House B&B. The film is free and will be screened in the Green Building. All invited. 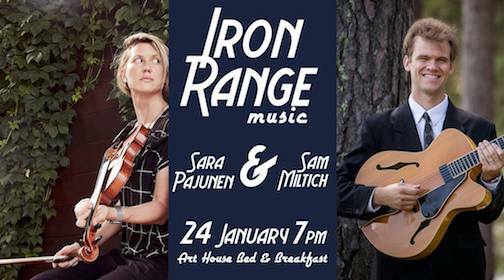 Also on Thursday night, Iron Range musicians Sara Pajunen and Sam Miltich will play for a house concert at the Art House B& B starting at 7 p.m. Both musicians have performed at Art House before, but this is the first time they’ll be playing together, sharing music from the Iron Range. Sam’s father will join them on upright bass. Sara Pajunen and Sam Miltich will perform a house concert at Art House B&B on Thursday night at 7 p.m.
All invited. The suggested donation is $10. Refreshments will be served. 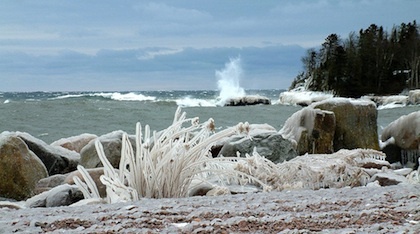 Art House is located arts 8 7th Ave. W. in Grand Marais. 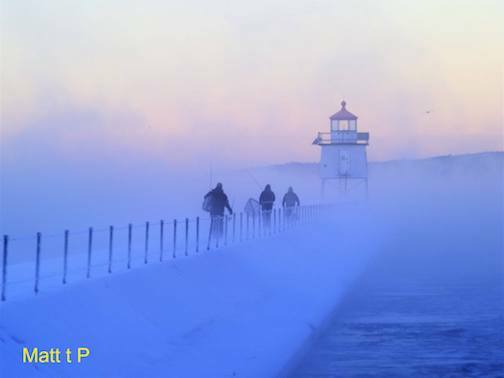 If you’re really determined to stay at home, WDSE’s “Making It Up North” might be of interest. The Emmy nominated program highlights creative entrepreneurs who know what it takes to make it in today’s business environment. 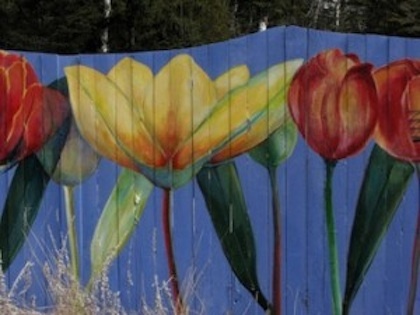 Two Cook County residents will be featured: Wunderbar’s Teri Downing and painter Anna Hess. 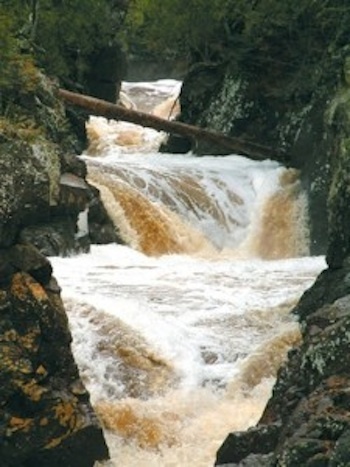 Others on this week’s program are Frank Sander, as he builds his Little Knife Sanctuary/Artist Retreat at Knife River and Patrick Krekelberg and his start-up tech concern, Krekletronics. The program airs at 8 p.m. The film is screened at 6 p.m. at the library. Free. And on Saturday, if you’re in Thunder Bay, consider attending “Direlecte,” a fashion odyssey put on by the Definitely Superior Art Gallery. It’s a pretty crazy time with 27 acts of wearable art, fashion and music from 8 p.m.-2 a.m.. at the Black Pirates Pub in Thunder Bay. Expect large crowds, out-of-the-box fashions and lots of music. Here’a video of snippets from last year’s event. Derelicte 11 from Definitely Superior Art Gallery on Vimeo. A little closer to home: the continuation of the Lake Effect Ski/Music Festival at Papa Charlie’s with the bands the People Brothers Band and Pho on Saturday night. 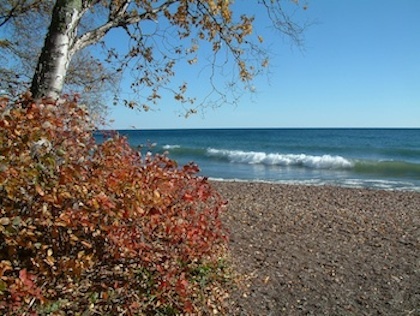 The music starts at 9:30 p.m.
On Tuesday, the Reading Groups start at the Grand Marais Art Colony with sessions in the morning and evening. For more information, contact the Art Colony at 387-2737. The community listening sessions with Julia Klatt Singer and Craig Carnahan scheduled for next week have been cancelled due to the weather. Wednesday, Jan.30, 7-8:30 p.m., North House Folk School. 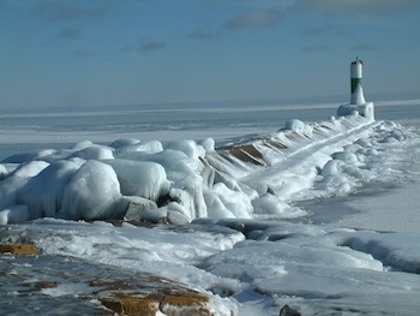 Thursday, Jan. 31, 11 a.m-12:30 p.m., Grand Marais Public Library. Thursday, Jan., 31, 3:30-4:30 p.m., Cook County Community Center. The Johnson Heritage Post is closed until Feb. 1, when the Winter Plein Air Exhibit opens. Stay tuned. 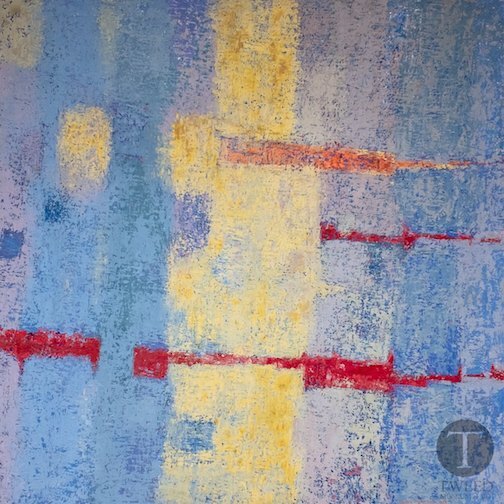 This is the final week of the Group of Finland Painters exhibit at Tettegouche State Park, featuring a wide variety of work in oil, acrylic and watercolors. 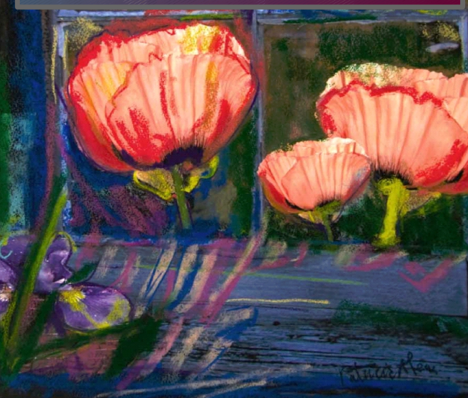 Gary Olson is showing the painting below, a reminder of a different season, for sure. 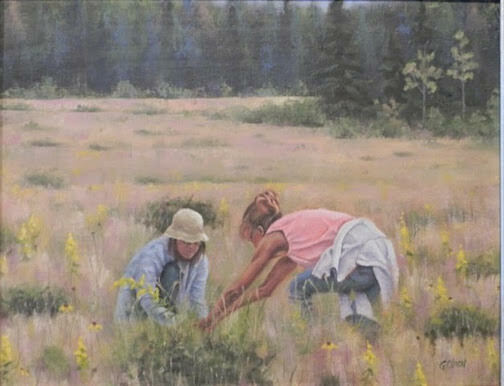 “Berry Pickers” by Gary Olson, a member of the Finland Group of Painters who are exhibiting in the Great Hall at Tettegouche State Park this month. 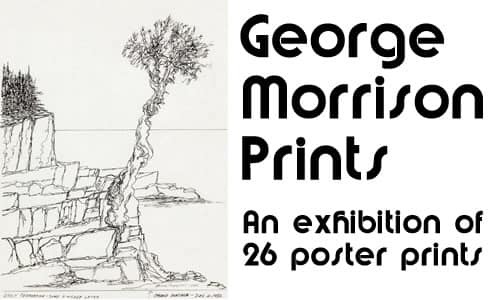 The exhibit of George Morrison prints continues at the Cedar Coffee Company in Two Harbors as well as the North Shore Winery in Lutsen..
An exhibit of George Morrison poster prints continues at the Cedar Coffee Company in Two Harbors. The North Shore Winery is also showing his work. And the Tweed Museum of Art is featuring work by Morrison as well, including this painting, which is part of its Intersections exhibit. “Naides, No. 10″ by George Morrison. Four new exhibits opened at the Duluth Art Institute with a reception Thursday from 5-7 p.m. They will continue through February. 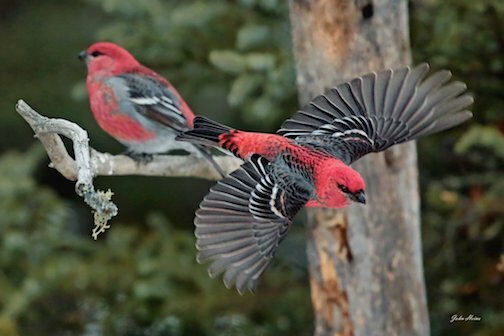 On tap are the Annual Member Show, the Arrowhead Regional Biennial, Akinomaage (Vern Northrup), and Jazz Forest (Ray Allard). Donburi by Yuta Uchida is one of the pieces in the Arrowhead Biennial Show at the Duluth Art Institute which opened on Jan. 24. Patricia Lenz has opened an exhibit of her work at the Zeitgeist Cafe in Duluth. 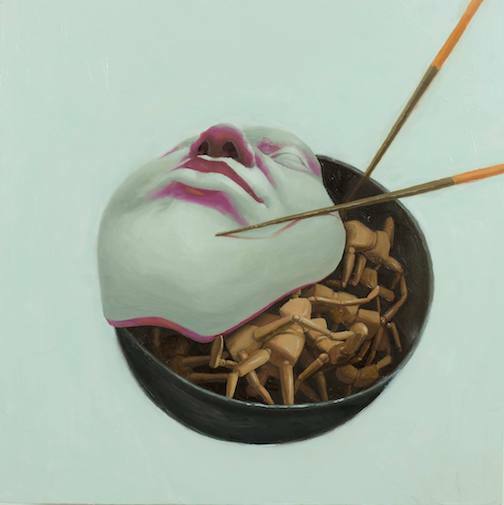 Painting by Patricia Lenz. She is exhibiting her painting at the Zeitgeist Cafe in Duluth this month. In Thunder Bay, the Baggage Building Arts Centre is featuring the Fibre Exhibition, featuring work by 24 different Thunder Bay fiber artists. Work includes knitting, crocheting, weaving, quilting and textiles. “Crash” by Kim Sutherland, is one of the pieces on exhibit at the Baggage Building Arts Center in Thunder Bay. Gene Lafond and Amy Grillo, Poplar River Pub, 6 p.m.
Iron Range Music with Sara Pajunen and Sam Miltich, Art House B&B, 7 p.m.
North Country Fair, The Wunderbar, 6 p.m.
Gene Lafond and Amy Grillo, Cascade Lodge Restaurant, 6 p.m.
North Country Fair, Wunderbar, 7 p.m.
Matt Griswald, Voyageur Brewing, 8 p.m.
Lake Effect Ski Music Festival,, Nooky Jone and Jaedyn James & The Hunger, Papa Charlie’s, 9:30 p.m.
Jim McGowan, Cascade Lodge Restaurant, 6 p.m.
Jacob Mahon & the Salty Dogs, Wunderbar, 8 p.m.
Lake Effect Ski/Music Festival, The People Brothers Band and Pho, Papa Charlie’s, 9:30 p.m.
Open Stage with Joe Paulik, The Wunderbar, 6 p.m.
Open Mic with Boyd Blomberg, Papa Charlie’s, 7 p.m.
Singer/Songwriter Series, Teague Alexy, Papa Charlie’s, 8 p.m.
Grosbeak fly by. Photo by John Heino. 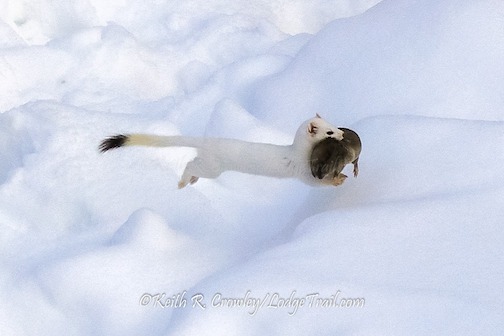 A long-tailed weasel with a short-tailed shrew. Photo by Keith Crowley. And we found lots of moon shots. 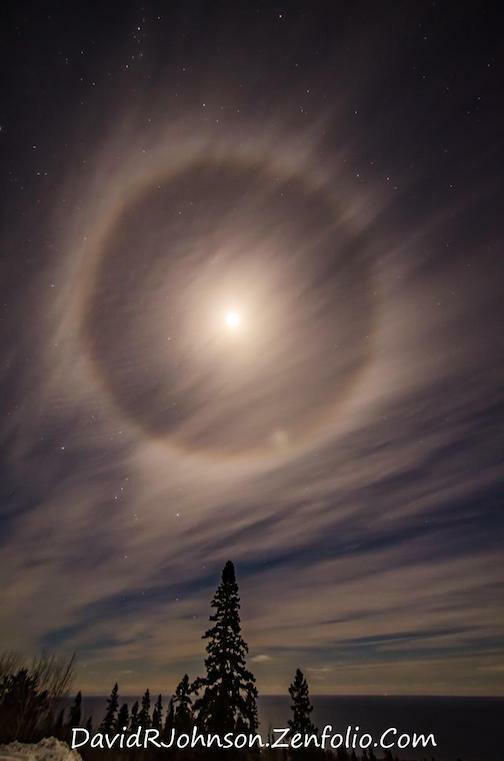 Moon halo by David Johnson. 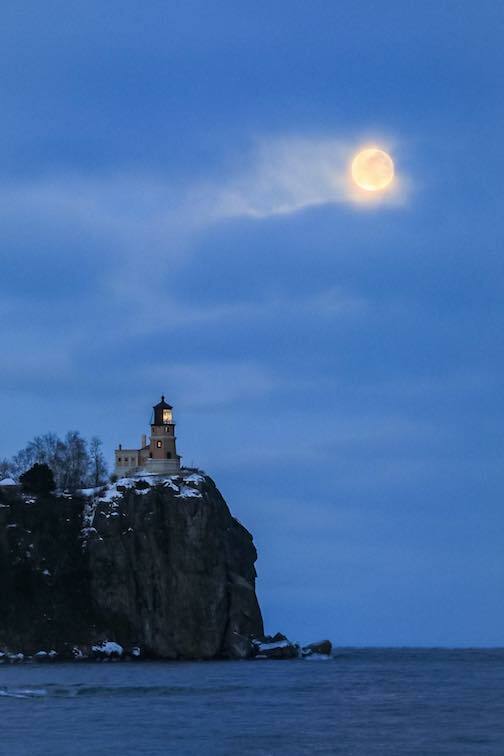 Full moon over Split Rock by David Barthel. 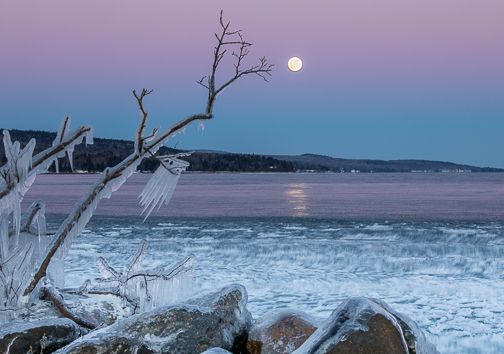 Super Moon rising by Janice Latz. 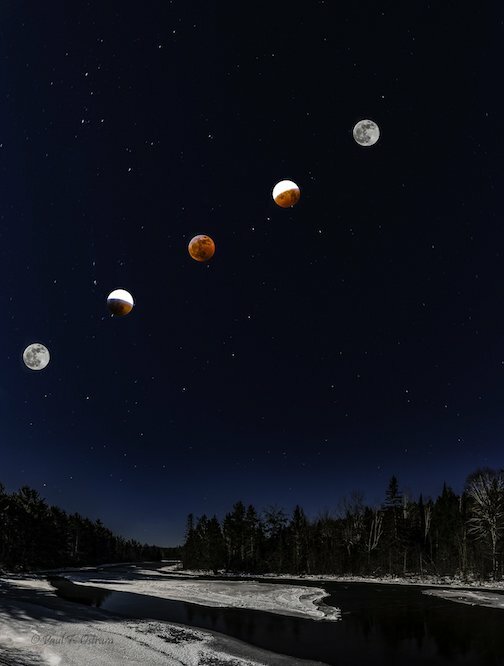 Eclipse of the Full Moon by Paul Ostrum. 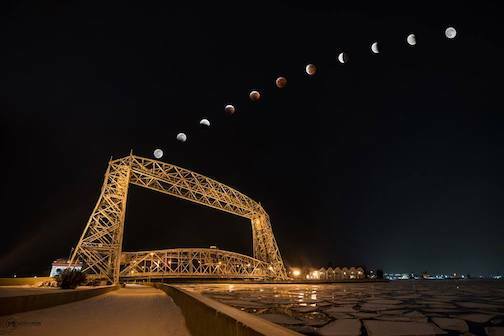 The Eclipse and the Aerial Lift Bridge by Matthew Breiter. 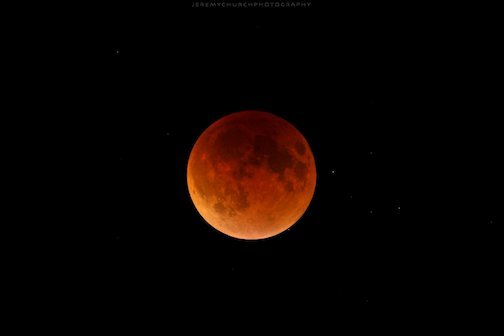 Full Blood Supermoon Eclipse by Jeremy Church. The Big Lake was Calm and Beautiful by Kari Kennedy. 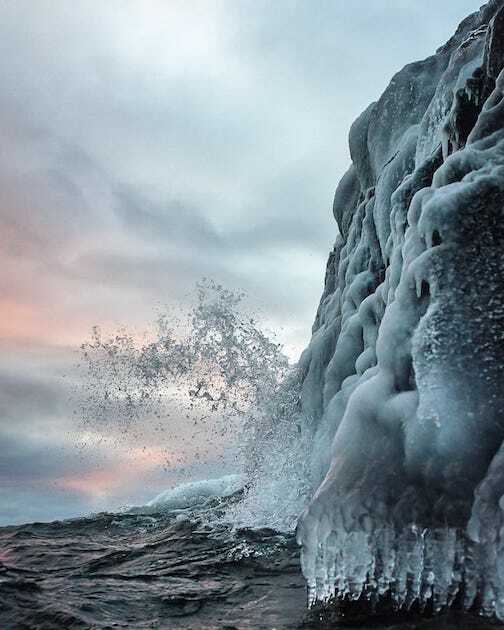 The Tip of the Ice Age by Christian Dalbec. 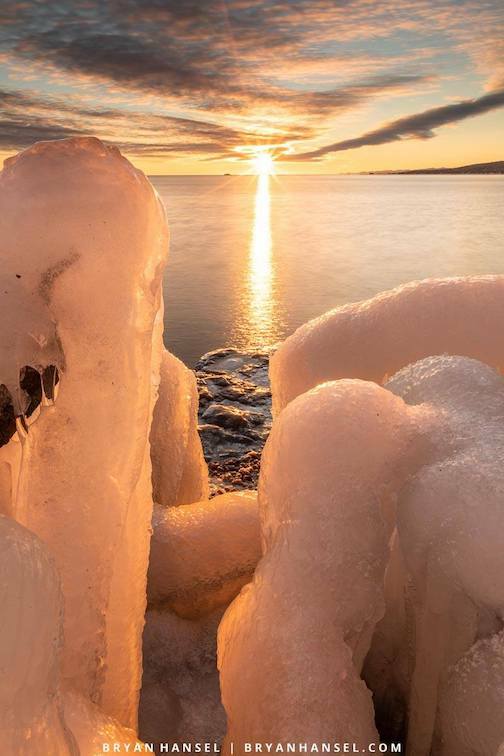 Sunrise over some crazy ice formations by Bryan Hansel. “Spring passes and one remembers one’s innocence. 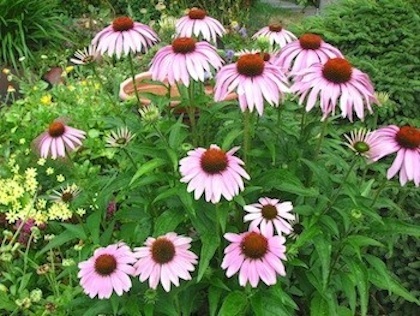 Summer passes and one remembers one’s exuberance. Autumn passes and one remembers one’s reverence. 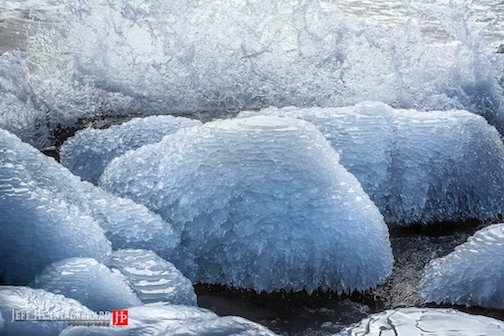 Winter passes and one remembers one’s perseverance.” – Yoko Ono. 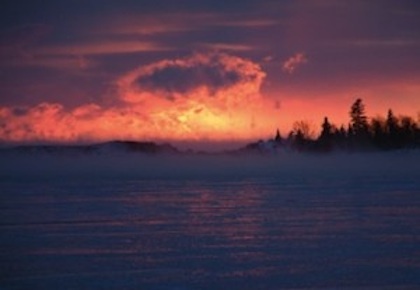 Hovland, MN. Photo by Kareen Hunnicutt-Meyer. Enjoy your winter weekend, everyone! 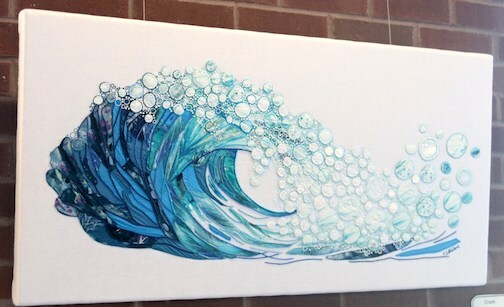 Did you enjoy NorthShore ArtScene this week? Consider making a donation today. And Thank You!